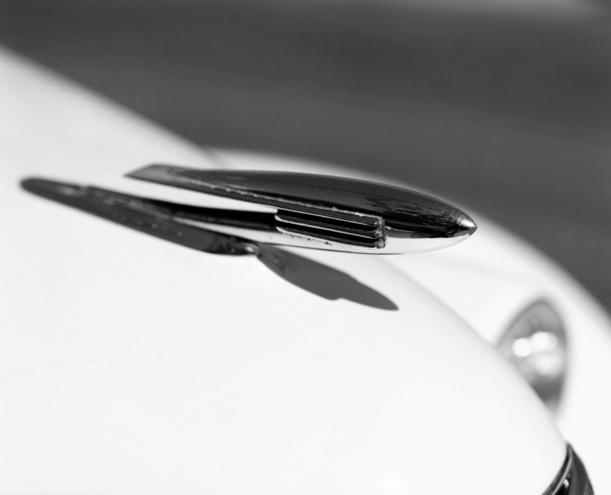 A close up of a 1939 LaSalle hood ornament. Shot in Nantucket near the White Elephant. Taken with my Pentax 6X7 camera using Ilford Delta 100 film.